The tank is still the most powerful vehicle in any land force's arsenal. It is an all-encompassing arms system which has formidable firepower, extraordinary mobility and fail-safe protection. The present work shows for the first time all the modern tanks and their numerous modifications and versions, with a chronological table of when they were put into service. It clearly defines the postwar combat tank generations. 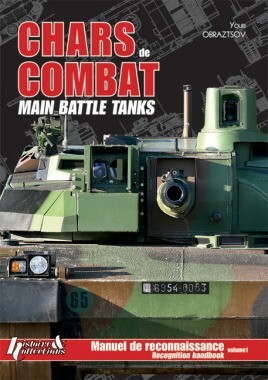 Richly illustrated with more than 350 photos, it methodically reveals in French and English the features of each tank with accurate dates, and presents each model's capacities and specifications. Dimensions are indicated in a practical and visual manner. A series of four tests will enable you to find out your level and improve your knowledge on the subject. With all its qualities, this manual is an indispensable tool for the armed forces and all military and armored vehicle buffs. Written by an identification specialist, in collaboration with industrialists, it is the first in a series of books on military material.